Modern revelation through a living prophet is a fundamental tenet of the LDS faith. Members are reminded that the prophets will not, cannot lead them astray. Joseph Smith, and later the Church, changed key revelations, documents, and canonized LDS scripture. The timing and nature of many doctrine changes coincided with evolving personal views and challenges to authority. Prominent church leaders have at times denied or attempted to minimize the fact that nearly every doctrine has evolved. While some changes were significant, even seemingly small changes altered original meanings in critical ways. This section explores various after-the-fact alterations to revealed scriptures, while the more crucial removal of the Church’s original definition of marriage and the late appearance of the priesthood restoration narrative within previously mundane scripture can be found on the pages dedicated to those topics. “There has been no tampering with God’s word…the whole body of Church laws form a harmonious unit, which does not anywhere contradict itself nor has it been found necessary to alter any part of it” (Joseph Smith – Seeker After Truth, John Widtsoe, 119-121). Apostle Hugh B. Brown, letter to Morris Reynolds, reprinted in Tanner, Major Problems of Mormonism, 133. Jesse Gause was Joseph Smith’s original First Presidency Counselor. Jesse’s early leadership role quietly faded from memory scant mention in any stories because one day, while serving a mission, he simply kept on walking and abandoned Mormonism. To cover prophet Jesse’s departure, his name was swapped out with Frederick G. Williams in the 1832 revelation given directly to him (D&C 81). Jesse’s role went unacknowledged and uncorrected until the 1980 D&C edition, and then only in the historical introduction to the revelation; Fredrick’s name remained in the scripture text. Only after critics argued for his role, beginning with Robert J. Woodford in 1975 and D. Michael Quinn in 1983, was Jesse’s name restored to the Church’s list of General Authorities. The Church acknowledges “There are two manuscript copies of this revelation extant…in both of these, Jesse Gause’s name has been crossed out and Frederick G. Williams’ name written above it.” The Church then suggests “These events illustrate how the Church grew and developed as the need arose.” However, the motivation for removing Jesse Gause’s name seems more significant than the Church’s explanation suggests. First-hand descriptions of the Book of Mormon translation process suggest that textual accuracy, as a single character would purportedly appear to Smith who would recite it to a scribe and confirm before proceeding. Yet, later edits of the Book of Mormon include numerous wording changes. The original 1830 edition of the Book of Mormon contained numerous passages that demonstrate distinctly nineteenth-century New England grammar. When attempting to reconcile things, one popular defender of the Book of Mormon’s antiquity merely compounds the problem by suggesting: “What now seems bad grammar was once entirely acceptable English” (Editing out the ‘bad grammar’ in the Book of Mormon, Dan Peterson). Distinctly nineteenth-century New England grammar patterns have no place in a “tight” translation of an ancient manuscript. Such grammar implies a creative production of text rather than a pure rendition. There were also far more serious changes made to the nature of God and racial skin tone references. B. H. Roberts suggested that assigning such errors to God would be unthinkable. In the 1840 edition, 2 Nephi 30:6 was changed from “white” to “pure” while other references to “white” remained unchanged. In Mosiah 21:28 and Ether 4:1, Benjamin, long dead by this point, was changed to Mosiah. Confusing one name for the other is not a likely error if the text was an English rendition of ancient Nephite writings. See Natural Born Seer, 386-8 for an extensive list of Book of Mormon changes. The Book of Commandments, published in July 1833, was a compilation of early LDS revelations. Only a handful of copies were distributed before the press was destroyed. 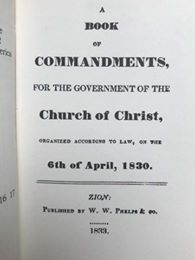 The Church has in its possession Wilford Woodruff’s original copy, but for generations prohibited viewing or publication, denying access requests. The Doctrine & Covenants (D&C) was an updated compilation of revelations and lectures, introduced to members at conference on Aug 17, 1835. The book was immediately controversial, as it introduced significant revisions, contradictions, and additions to previously canonized scripture. It also contained the earliest public mention of a priesthood authority restoration via Peter, James, and John. “In 1835 the Doctrine and Covenants began a policy of retroactive editing by reversing previous meanings, adding concepts and whole paragraphs to the texts of previously published revelations. The official alteration of pre-1835 revelations is the more fundamental context for the later pattern of editing in the History of the Church” (On Being a Mormon Historian, D. Michael Quinn). B. H. Robert’s suggested that “Some of the early revelations first published in the ‘Book of Commandments,’ in 1833, were revised by the Prophet himself in the way of correcting errors made by the scribes and publishers; (History of the Church, B.H. Roberts, 1:173.) 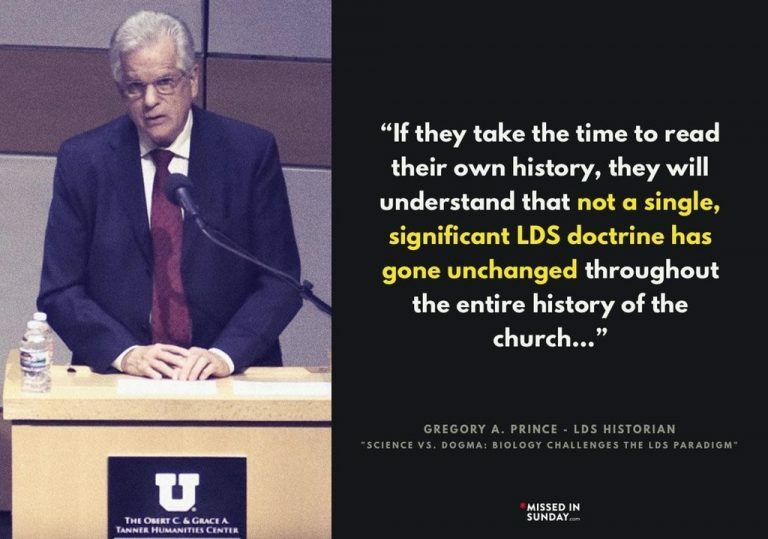 Other Church material blamed its critics for “apparently misunderstanding the process of revelation and the principle of ‘precept upon precept’ that the Lord applied as he continued to give new understanding to the Saints” (The Story of the D&C, LDS.org, Dec 1984). The current D&C 10:1, which specifies the Urim and Thummim, was not mentioned in the original Book of Commandments. The term was not utilized within the Church until January 1833, when W. W. Phelps hypothesized in The Evening & Morning Star that the Nephite interpreters or spectacles may have been the Urim & Thummim mentioned in the Bible. From that point forward, the Church intermingled the spectacles, interpreters, and seer stones stones as Urim & Thummim. Oliver Cowdery co-founded the LDS Church with Joseph Smith and remained a pivotal figure for many years. 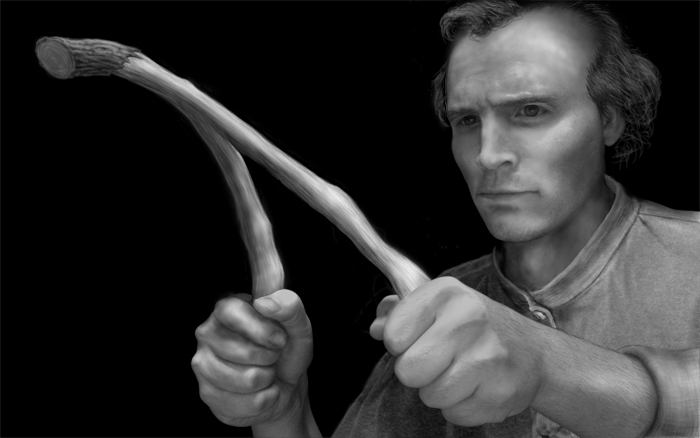 Many of the original founders and Book of Mormon witnesses practiced money digging and believed in folk magic. Marvin S. Hill, LDS historian and Assistant Professor of History at BYU, confirmed, “Many of the earliest Mormons, including [Oliver] Cowdery, Martin Harris, Orrin P. Rockwell, Joseph Knight and Josiah Stowell, were rodsmen or money diggers…” (Secular or Sectarian History: A Critique of No Man Knows My History, Church History,March 1974, vol 43, 86). As Oliver assisted Smith with the translation work, he became desirous to obtain the ability to translate. Joseph Smith provided Oliver with a blessing, suggesting his first gift was “the spirit of Revelation,” while his second gift was identified as “the gift of working with the sprout.” This early revelation was changed not once, but twice. The “sprout” became a “rod of nature” before finally becoming the “gift of Aaron” years later. Marvin Hill further confirmed Oliver’s use of a diving rod. “When Oliver Cowdery took up his duties as a scribe for Joseph Smith in 1829 he had a rod in his possession which Joseph Smith sanctioned” (Dialogue, Winter 1972, 78). Thus, Cowdery’s involvement with treasure seeking and magic arts was camouflaged by altering a few key words. This episode is but one of many as the Church attempted to distance itself from its magical origins. One of Joseph Smith’s earliest revelations, received in 1829 and published in Book of Commandments 4:2, stated, “…and he has a gift to translate the book and I have commanded him that he shall pretend to no other gift, for I will grant him no other gift.” David Whitmer later confirmed both the revelation and events surrounding it: “After the translation of the Book of Mormon was finished, early in the spring of 1830, before April 6th, Joseph gave the stone to Oliver Cowdery and told me as well as the rest that he was through with it, and he did not use the stone any more. He said he was through the work that God had given him the gift to perform, except to preach the gospel. He told us that we would all have to depend on the Holy Ghost hereafter to be guided into truth and obtain the will of the Lord” (An Address To All Believers In Christ, 1887, 32). But Smith did not cease to bring forth new works. He promptly began translating the Bible into a volume which became known as the Joseph Smith Translation (JST). In 1835, he attempted to translate Egyptian papyri into scripture. D&C 5 altered the revelation and removed the limitation. The re-numbered D&C now reads: “and this is the first gift that I bestowed upon you; and I have commanded that you should pretend to no other gift until my purpose is fulfilled in this; for I will grant unto you no other gift until it is finished” (D&C 5:4). The concept of Church Presidency was added to D&C 48 (Book of Commandments 51), and High Priesthood to D&C 17 (Book of Commandments Ch. 4) and 20 (Book of Commandments Ch. 24). The new Aaronic and Melchizedek concepts were also retroactively inserted into D&C 24 (Book of Commandments Ch. 28). See p. 30-31 Mormon Hierarchy – D&C 84:17 is extraordinarily important as first detailed explanation of priesthood, yet it was not in 1833 Book of Commandments. In February of 1831, Smith revealed that members were to “consecrate all thy properties” to the church (see Book of Commandments 44: 26). On March 1, 1832, Joseph Smith delivered additional revelation accelerating the consecration of property into the United Order. Joseph’s original revelation declared the purpose to be building up the “mercantile and publishing establishments.” Years later, the revelation was altered to imply the motivation was to build up “the affairs of the storehouse for the poor” (see D&C 78:3). Section 7 of the D&C is Joseph Smith’s purported translation of a parchment written by John the Beloved himself. The revelation conveniently materialized to solve an argument with Oliver Cowdery. While it is labeled a translation, there is no evidence that Smith ever claimed to possess such a record. There are no prophecies in the New Testament that can reasonably be construed as direct references to Joseph Smith. The prophet did, however, alter Matthew 24:14 to provide such a reference. The KJV reads “And this gospel of the kingdom shall be preached in all the world for a witness unto all nations… In Nauvoo, Joseph altered this passage to read “the Lord in the last days would commit the keys of the Priesthood to a witness over all people.” Notably, Joseph had previously approved the original KJV text, as preserved in the Pearl of Great Price (JS-M 1:31). (see This is My Doctrine, 56).